This review is a long time coming. I’ve been up to Hong Kong four times this year, and felt like I was going a bit HKG mad with various reviews and posts, so I have been slowly working my way through anything worth talking about since my first trip in January. 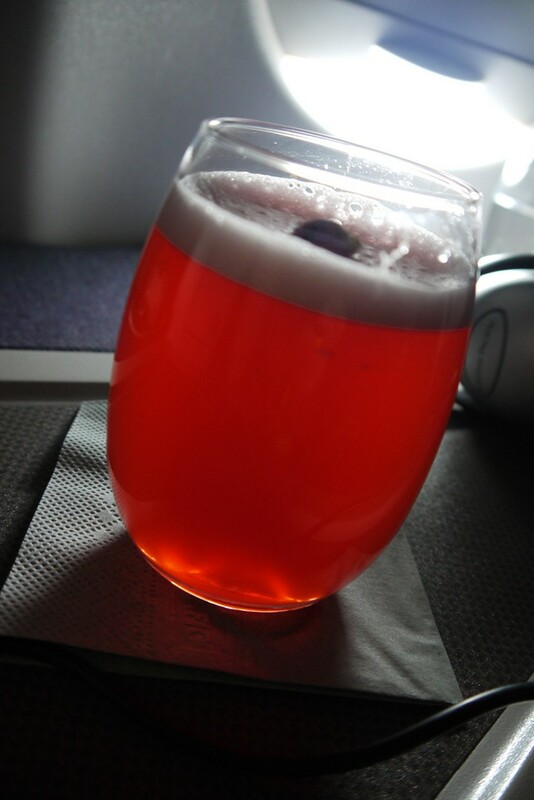 However, I took this flight in May, and am now only just finishing up and publishing this review. Cathay launched their new Business Class onto the Sydney route not long before I took this flight, so I should have published it sooner. 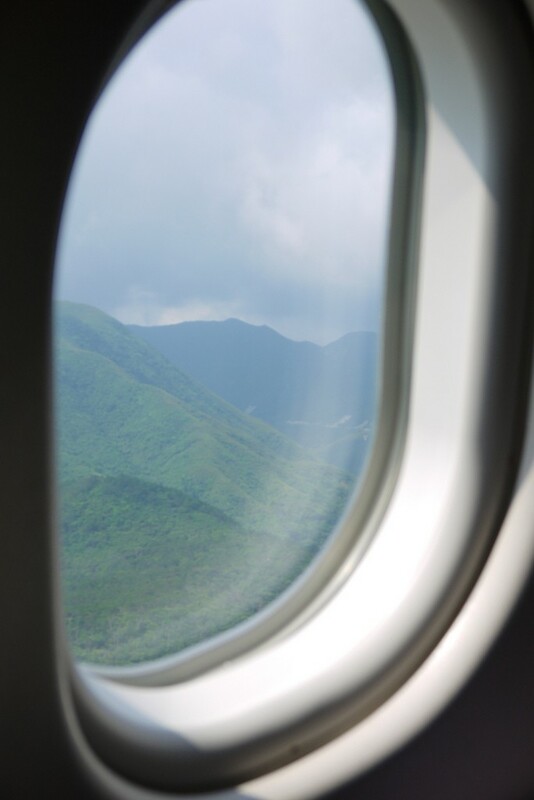 This was my third trip back from HK in just 4 months, and after a shocker of an overnight return flight the trip prior where I was parked up the back and got virtually no sleep, I felt inclined to ensure I received better treatment this time around. 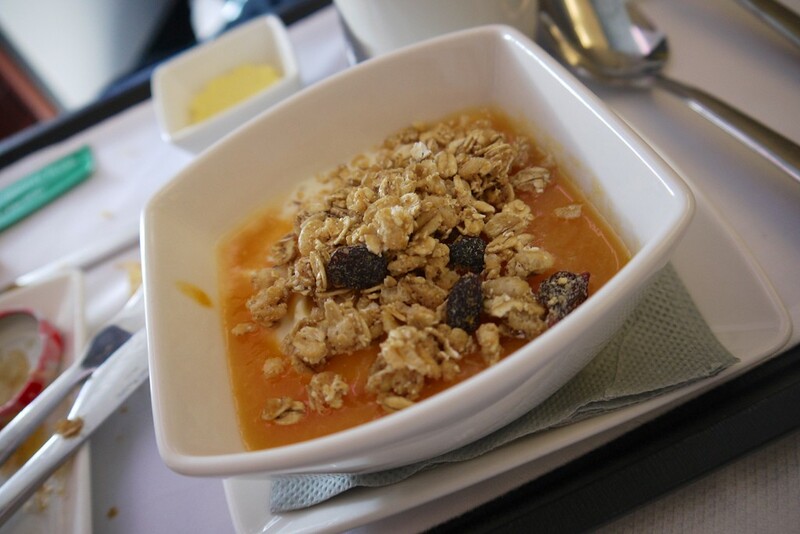 I purposefully booked myself on the only daytime flight to Sydney, CX162, as I knew it was operating their new Business Class, and was keen to try it out. 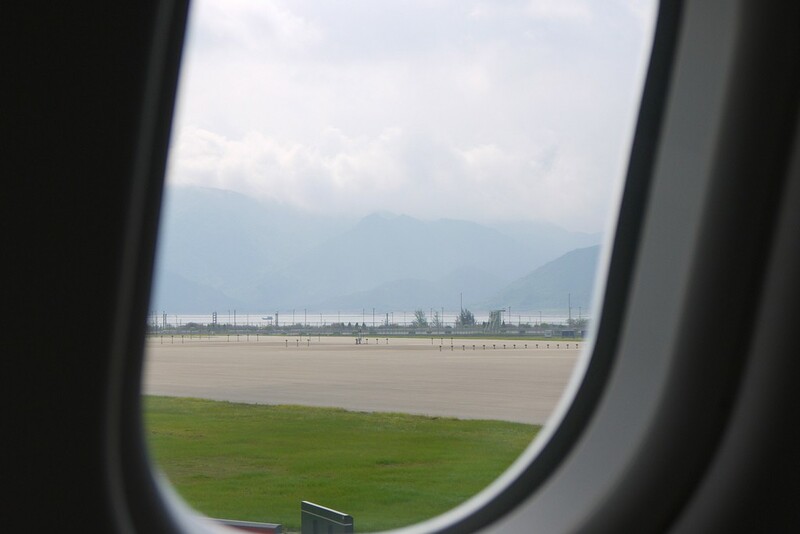 Departure is around 9am, meaning an early, but acceptable start if travelling to HKIA from the city. I checked in using the wonderfully efficient and empty Airport train check in at Central, and was soon at the airport, boarding pass in hand and through security killing 1/2 hour or so in The Cabin. 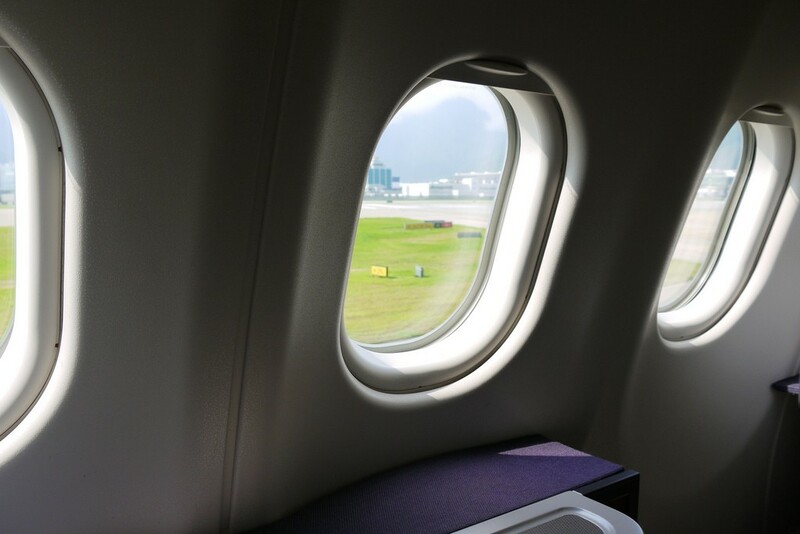 I’ve previously run through The Wing and The Cabin lounges – check out those reviews it you missed them. 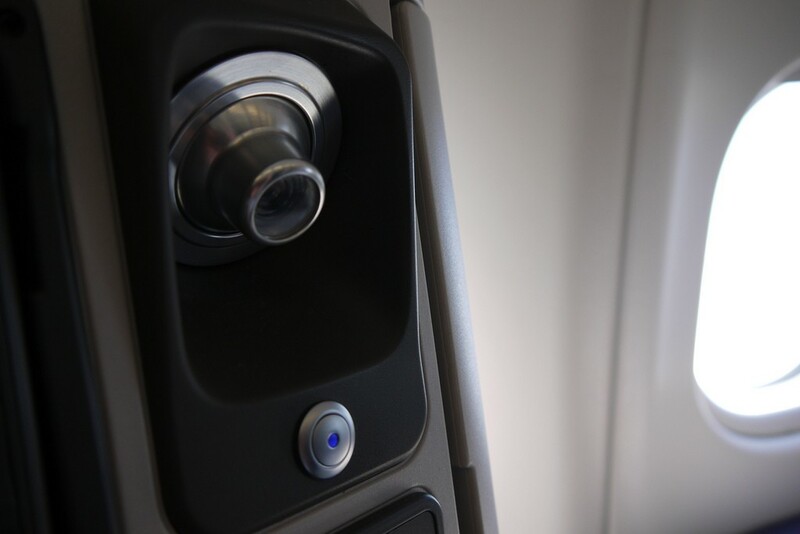 In short – both great places to kill time, and before long I was running a touch late for my flight and had to scamper off to the gate to board. 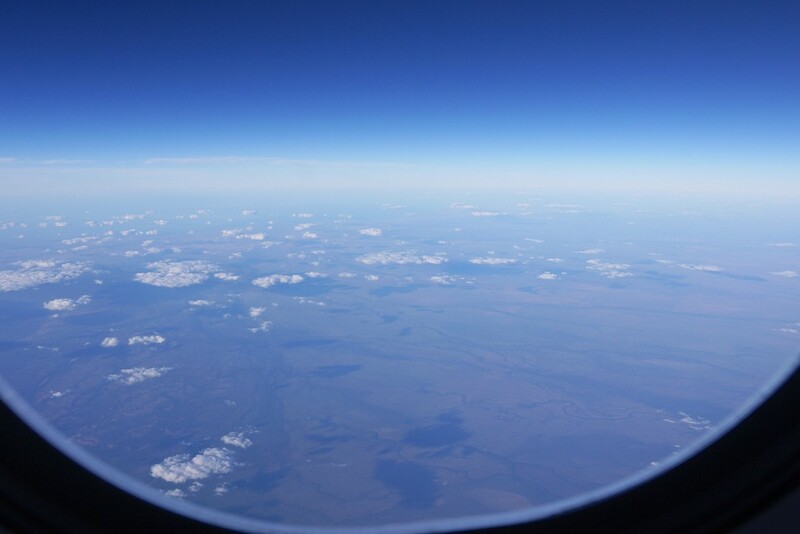 After getting settled, I started to check out the new cabin and admire the expansive view from my own three windows. I’d chosen the window side, and the best thing about the new Cathay Business Class layout is the 1-2-1 herringbone layout, meaning everyone has aisle access. There’s just no drawback to window seating here. The seats are almost private enough to be considered suites – add a little more surrounds and a door, and you’d be there. The space is amazingly well-used, and from the outward facing window seats, you can’t see anyone around you unless you try looking. 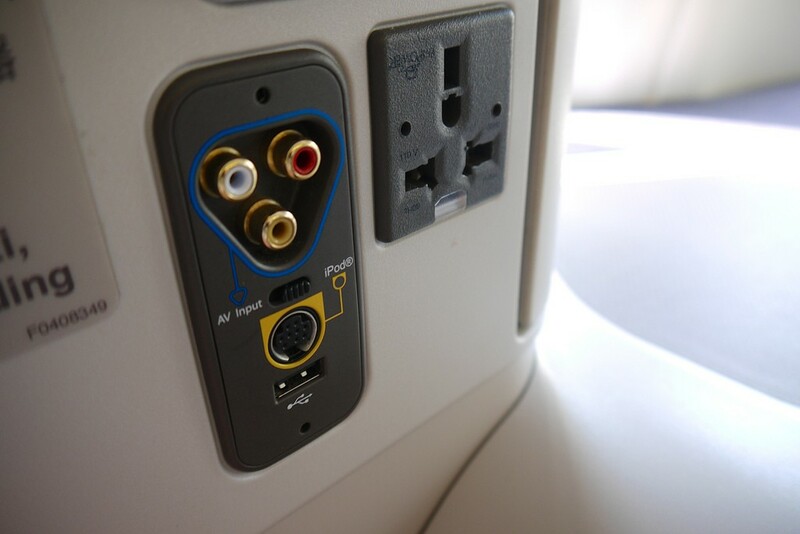 Contrast this to the lower deck of a Qantas 747 in Business where you would be dealing with either a window seat with someone to climb over to escape, an aisle seat with that person climbing over you, or, at worst, a middle seat where you get no benefits at all. 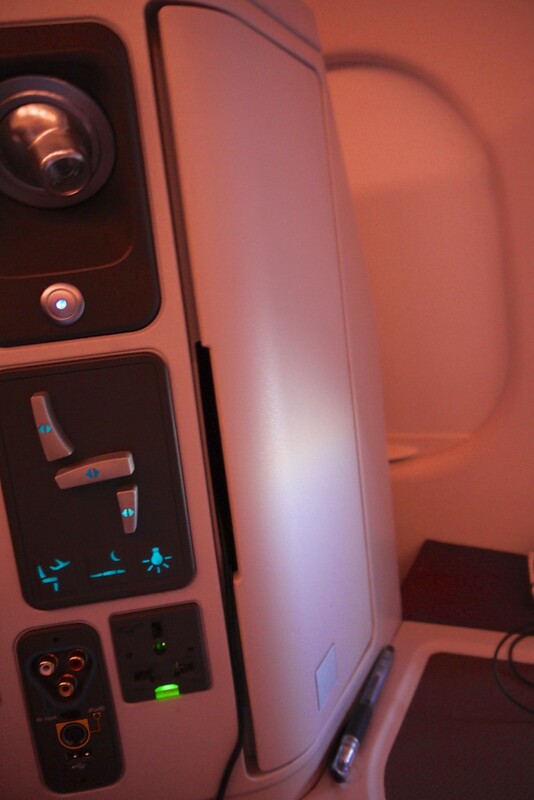 And separated from your fellow passengers by little more than a small dropdown privacy screen around your face. The Cathay option is on another planet. 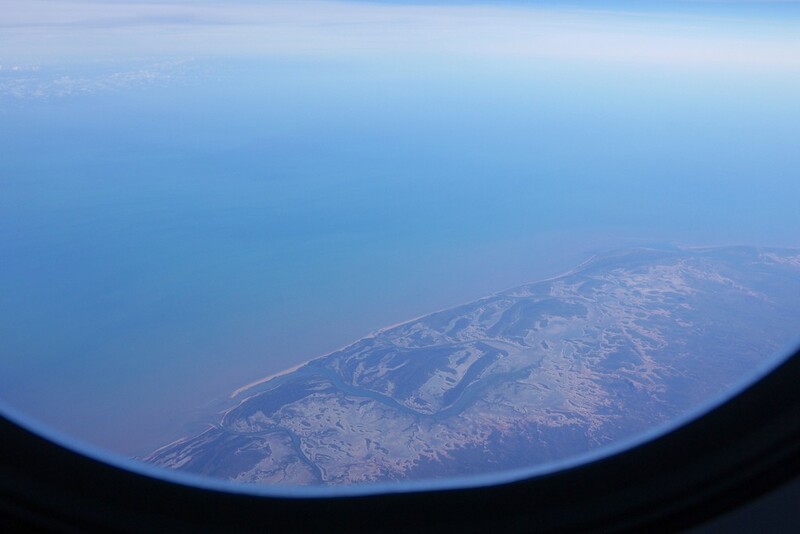 Take off was smooth, with nice views (the benefit of flying during the day). I turned my attention a little closer to the various design features of the seat. 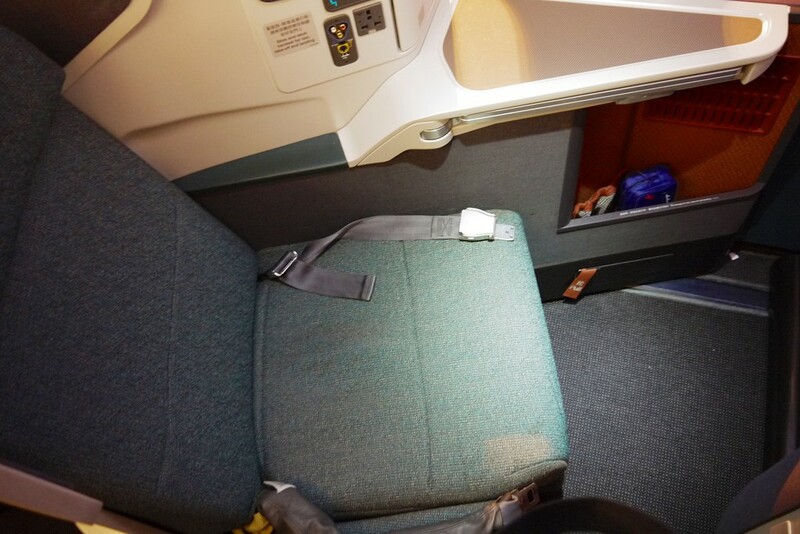 It’s clear that Cathay Pacific put a decent amount of thought into the various storage compartments around the passenger, with even a small cupboard at head height to chuck bits in. 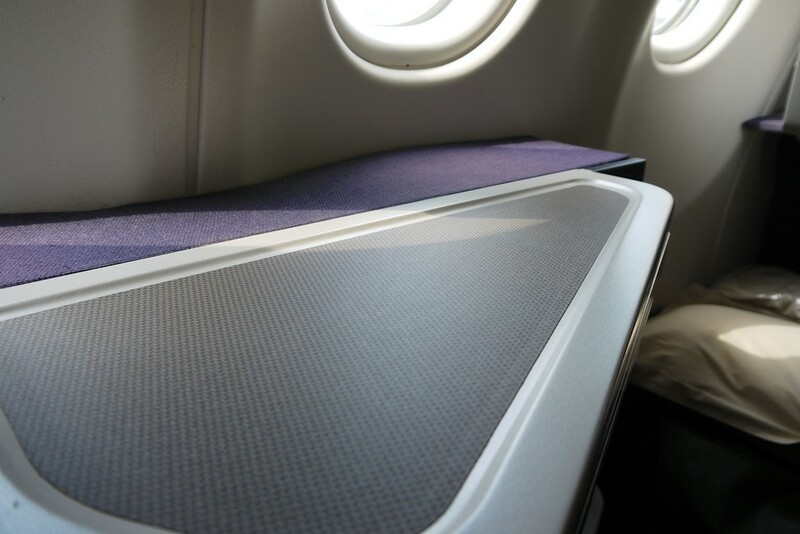 The only problem I could find with the seat design was placement of the pull-out dining table – when stowed it jutted out right where I wanted to rest my knee when in lounging mode – unfortunate, but tolerable. The room around the seat is just incredible, with loads of space for your feet on top of the footrest at the end of the suite, and with me at 6’2″, I had more than enough room to stretch out. All of the table space was also well positioned for using a laptop or tablet, or keeping drinks and snacks to one side without the main table out in front of you. 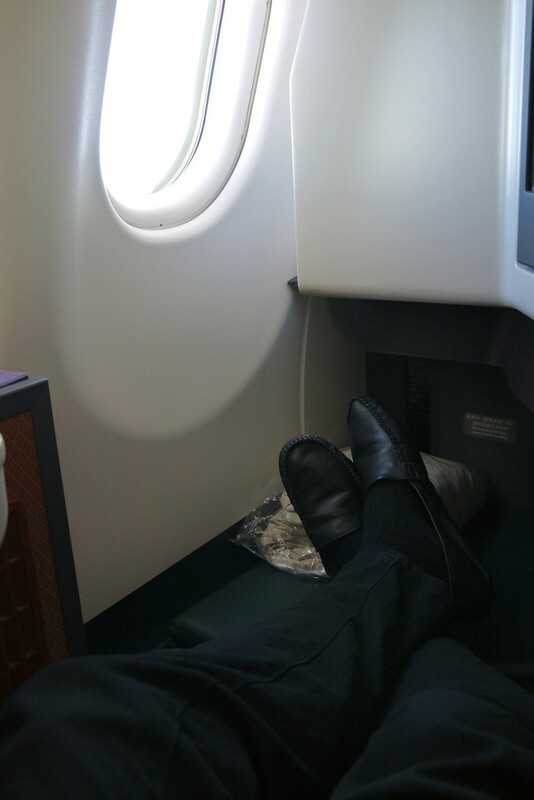 All throughout the flight, I was astonished at how private and contained the seat was. 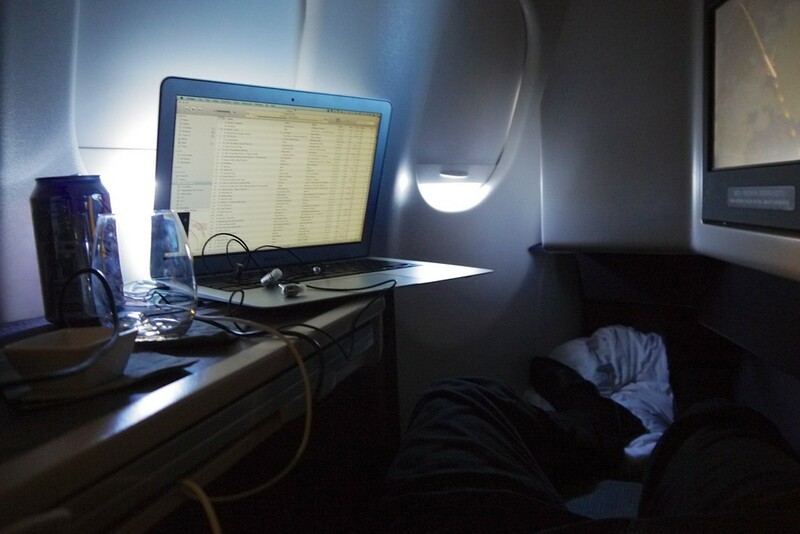 This is what I love about travelling in Business Class – just hanging out in comfort with good food and wine, catching up on stuff in my computer or watching movies, and marvelling at the scenery from my own personal three windows. 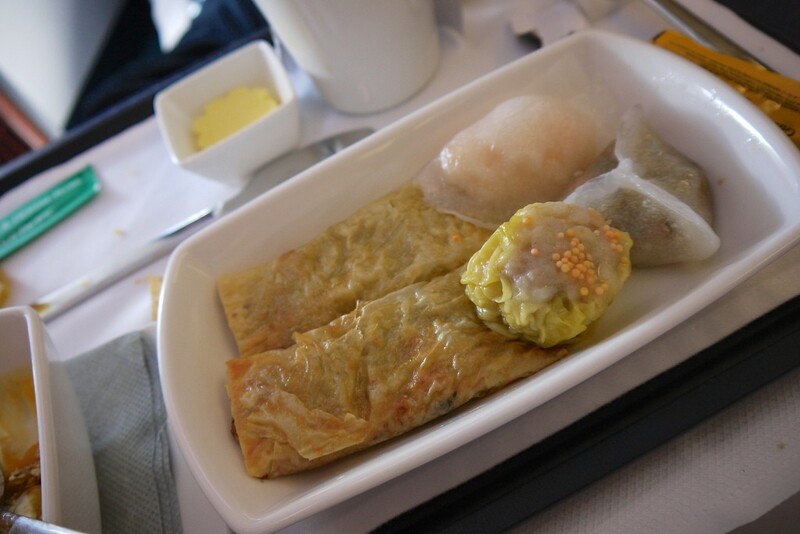 I enjoyed the mixed Asian and Western brunch menu, is which was served around 11am Hong Kong time, a couple of hours after take off. It was all great quality food, no misses and a well balanced set of small dishes for the time of day. 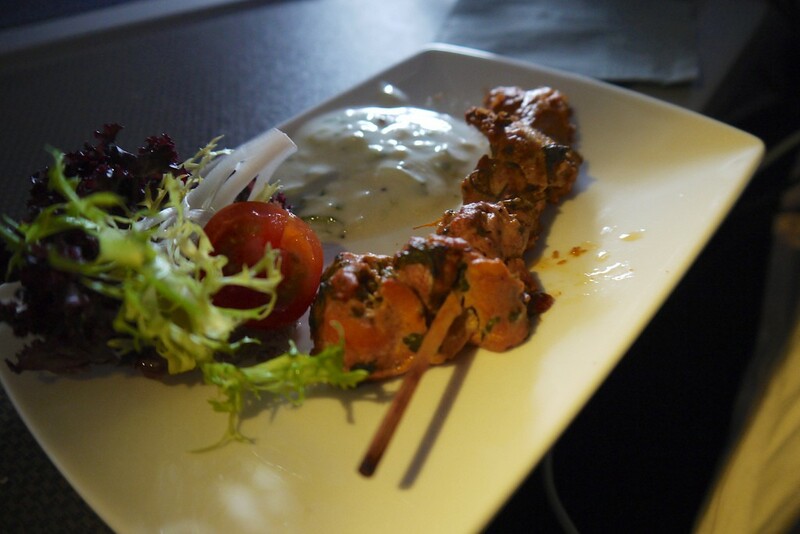 A few hours, a cocktail and a movie passed (The Rum Diaries, with Johnny Depp – not bad) and I felt peckish, so I ordered a Chicken Tandoori skewer from the snack menu. Again, perfectly tasty and enough to tide me over to dinner. The food was pretty good all around, no missteps or duds on the menu that I opted for. After dinner there was another couple of hours to pass before landing, so more StudioCX inflight entertainment and we were soon landing in Sydney, bang on time. 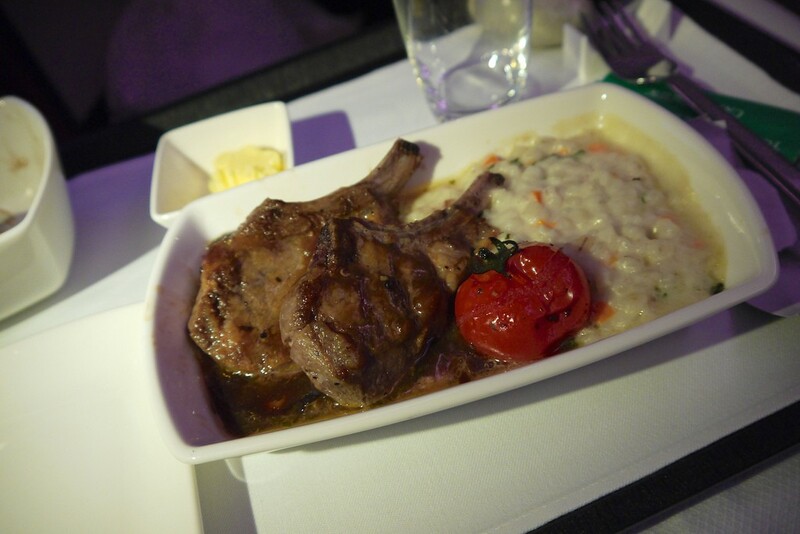 The service throughout the flight from the cabin crew was excellent. Smiling, helpful, cheery, chatty, friendly and yet fading into the background to just let you get on with whatever it is you were doing. Bang on. I left this flight realising that CX have set a new bar for their Business Class cabin. 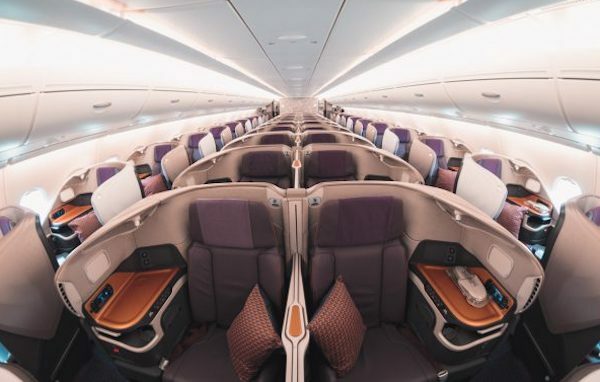 I’m not qualified to talk to whether this is the best in the market or even on the Sydney – Hong Kong route alone, as I’m yet to try Virgin Atlantic’s new Upper Class. 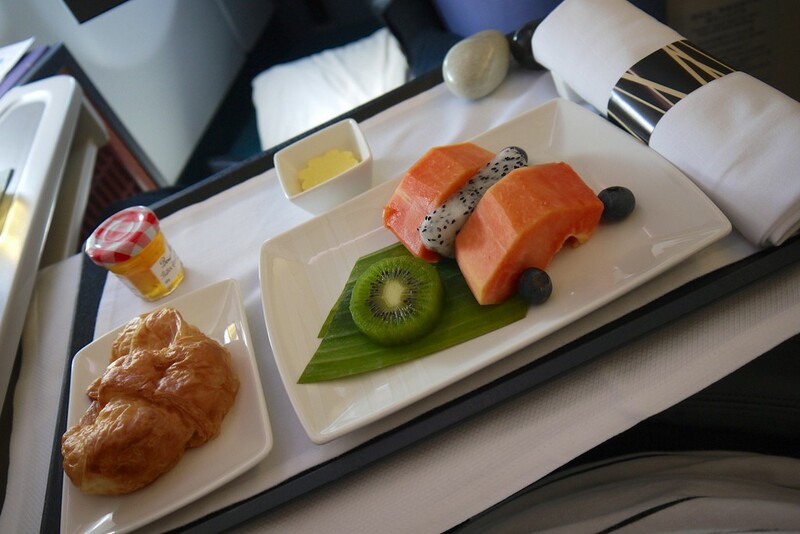 However, in the context of using your hard earned Qantas, AsiaMiles or Membership Rewards points, I would fully, definitely recommend seeking out Cathay’s new Business Class over the competition from oneworld partners Qantas or British Airways (if traveling onward to the UK). 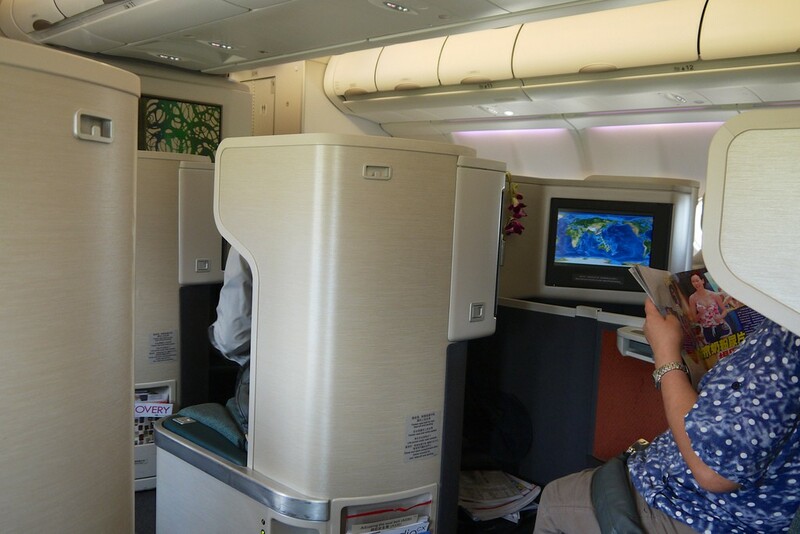 With a choice between spending 60,000 Qantas points for Cathay or Qantas Business Class, or even 90,000 Qantas points for a (one way) redemption to/from Hong Kong, there’s no doubt I’d choose Cathay’s new Business cabin. 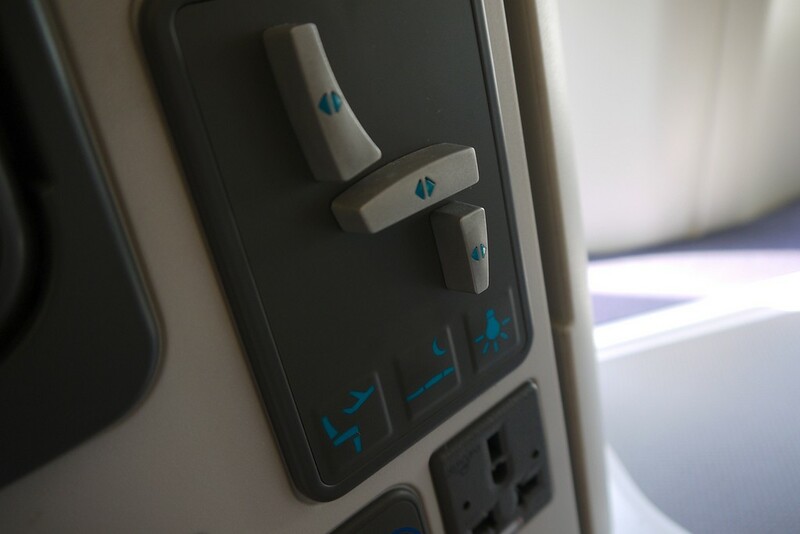 Cathay Pacific are operating this product on a decent percentage of their flights out of Australia now – the latest breakdown on routes from AusBT in August is here. Interesting review. CX Business does look like a compelling proposition. 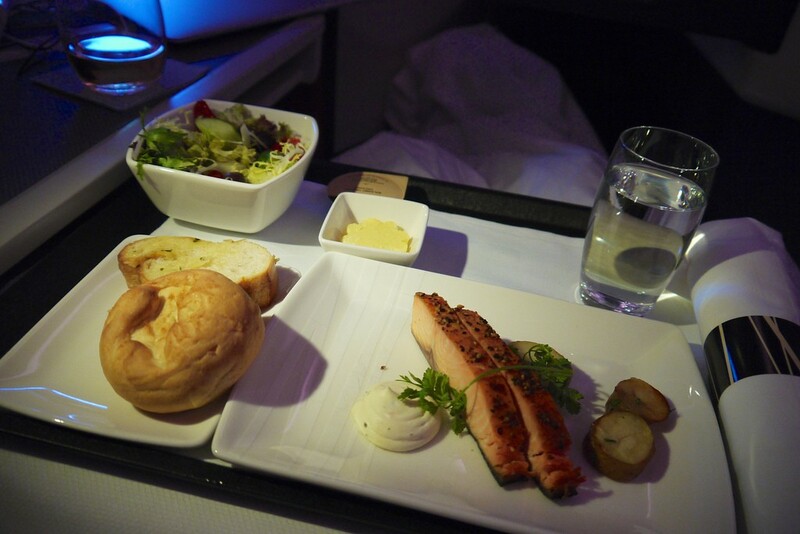 From my own experience, Singapore Airlines business class was amazing… the food was restaurant quality and the service as you would expect from SG was top notch. Not the best option SYD-HKG though (breaking in SIN).